On Friday, the Kay Ivey Inaugural Committee announced a schedule of events for the 2019 Inauguration. On Saturday, January 12, 2019, there will be a Gulf Coast Inaugural Celebration. Tickets cost $25 each and are available here. The event will be from 6:00 p.m. to 9:00 p.m. at the Gulf Coast Inaugural Celebration at The Lodge at Gulf State Park. Inauguration Day will be on January 14, 2019. Festivities begin at 8:15 a.m. with a prayer service at the First Baptist Church of Montgomery. This event will be by invitation only. The formal swearing in ceremony will be held in from of the Alabama State Capitol steps at 10:00 a.m. The will be followed by the traditional parade at the Alabama State Capitol. The parade will begin at 12:00 a.m.
At 7:00 p.m. that night the Inaugural Gala will be at The Montgomery Civic Center. This formal event is by invitation only. The Kay Ivey Inaugural Committee, led by Cathy Randall and Jimmy Rane, have announced that the 2019 Inaugural theme is: Keep Alabama Growing. In keeping with the theme, Keep Alabama Growing, the Kay Ivey Inaugural Committee has announced plans to promote children’s literacy throughout the 2019 Inaugural festivities. As part of this effort, the Ivey Inaugural Committee will be hosting book drives at the Gulf Coast Inaugural Celebration on January 12 and the Inaugural Gala in Montgomery on January 14. The books collected will be donated to the Alabama Literacy Alliance, a nonprofit dedicated to improving literacy in Alabama communities. Tickets to the Gulf Coast Inaugural Celebration cost $25 but the ticket price will be waived for attendees who bring four children’s books to the celebration. 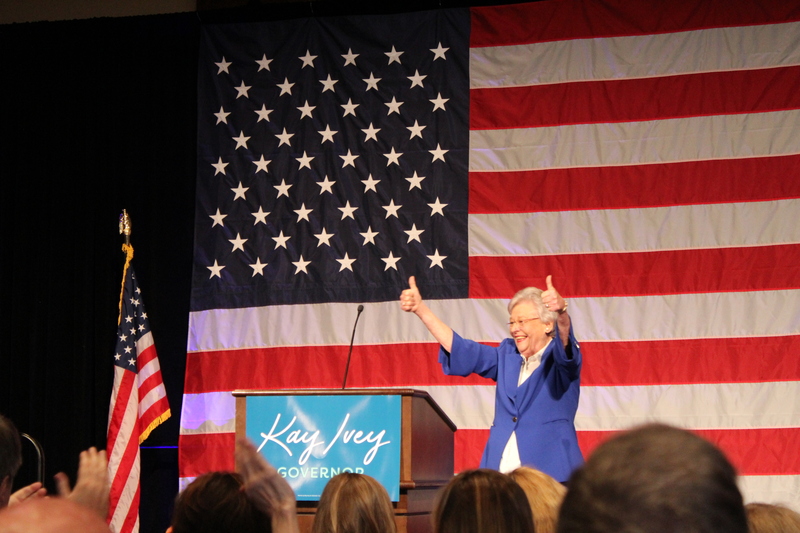 The Inaugural Committee has unveiled the Kay Ivey Inaugural website and officially opened the application process for any individuals or groups who wish to participate in the 2019 Inaugural Parade. January 4 is the deadline to submit parade applications. More details about the inauguration will be unveiled in the coming weeks. For more information and updates go to the Ivey inaugural celebration official website. Ivey served two terms as state Treasurer and then two terms as Lieutenant Governor before being elevated to the officer of Governor in April 2017 when then Gov. Robert Bentley (R) resigned. Ivey easily bested both her Republican primary challengers and her Democratic general election challenger.